Oh la la! As with any new season, we get spoilt with more choice for fragrances, and there are a few lovely new launches to choose from right now! Since there are a handful of scents, I’ll be breaking this feature up into a four-part series, and today we focus on part one; intense scents for summer. You can also check out my feature on 3 Delightful New Jasmine Scents over here. These four pretties have stolen my heart. 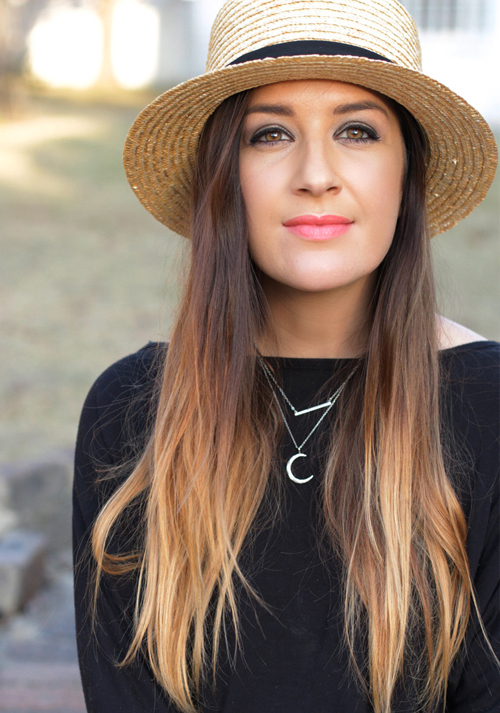 Intense, summery and totally ladylike. How could any girl resist? As soon as I smelt this scent, I loved it! 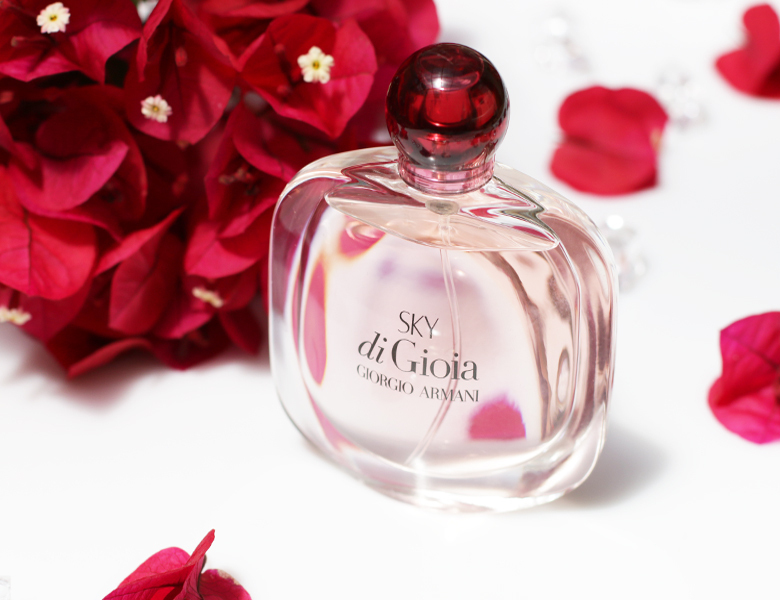 It’s fresh and breezy, and this time around, Giorgio Armani’s di Gioia fragrance scent is more florally and purely more pink; inspired by the natural beauty of the sunrise over the sea. The fragrance opens with top notes of sweet Litchi and Pear, the heart laced with Pink Peony and Rose, and the dry down notes, a woody musky base of Cedar Wood, White Musk and Blackberry. It’s delicious and delightful, and reminds me just a touch of DKNY Delicious. Although different, I get the same reminiscent “bite into fruitiness” from SKY di Gioia as I remember from the original Delicious. 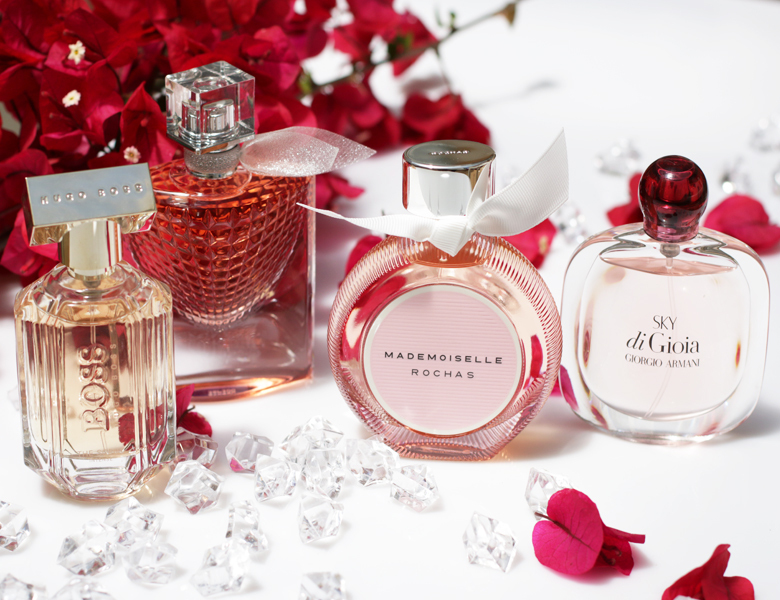 This fragrance is just special all around! If you, like me have loved the original La Vie Est Belle scent, and all the fragrance updates, you will fall crazy in love with the new La Vie est Belle L’Eclat. It’s a white, oriental floral, with top notes of Bergamot, middle notes of Orange Blossom and White Flowers and base notes of Sandalwood and Vanilla. Besides the gorgeous bottle, which is very ornate and true to its oriental decadence, this scent is quite different from the original. The opening note is quite bitter (but I actually rather like it) and the combination of white flowers and sandalwood, as apposed to the fruity and chocolaty notes from the 2012 original make it very unique and very beautiful. Price: R1499 for 50ml EDP and R1799 for 75ml EDP. 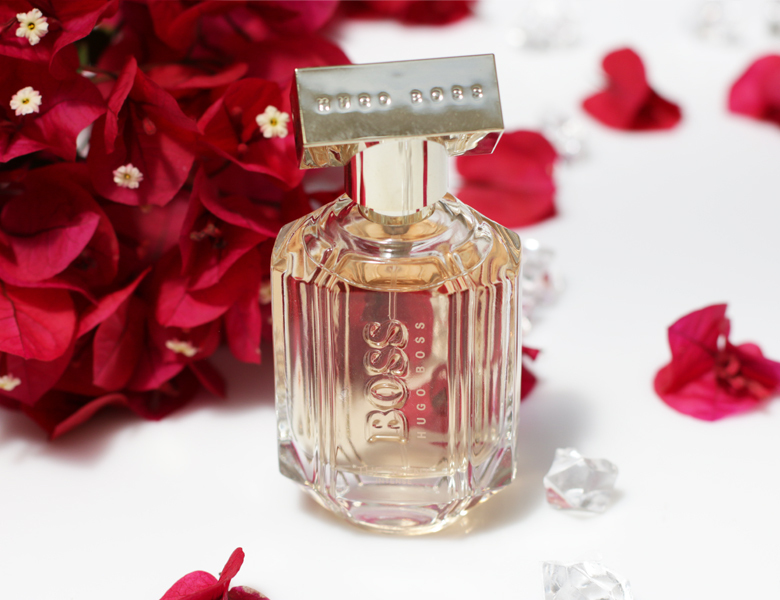 A new, spicier, seductive version of the The Scent for Her by Hugo Boss, The Scent for Her Intense, is as the name suggests, a richer, deeper fragrance that oozes with sparkle and laced with a honey and peach delight. 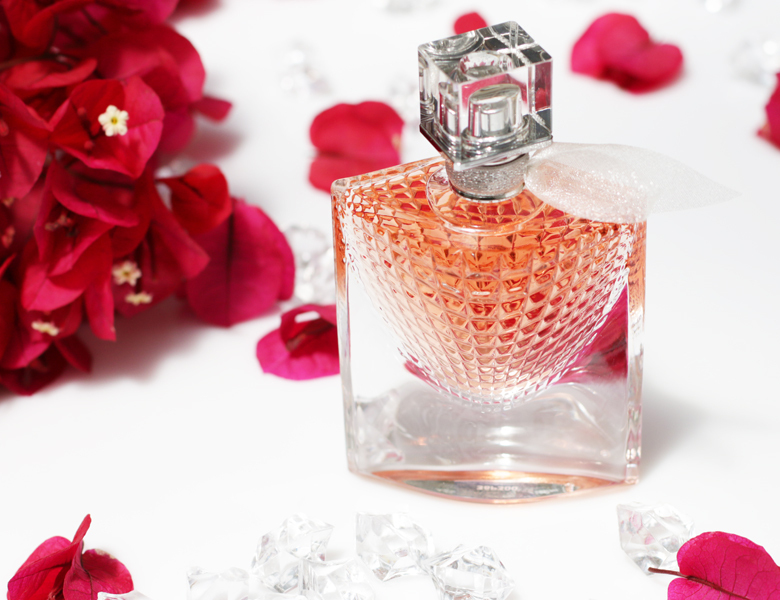 You are instantly greeted by the top notes of Peach and Honey. A sweet indulgence that’s more delicious rather than sweet. In the heart, Osmanthus, with it’s leathery-fruity smell greets you before drying down to base notes of Cacao and Vanilla. While the original is lovely and has very similar notes, The Scent Intense has more complexity with the addition of creamier notes in the base and more distinct honey notes in the top. 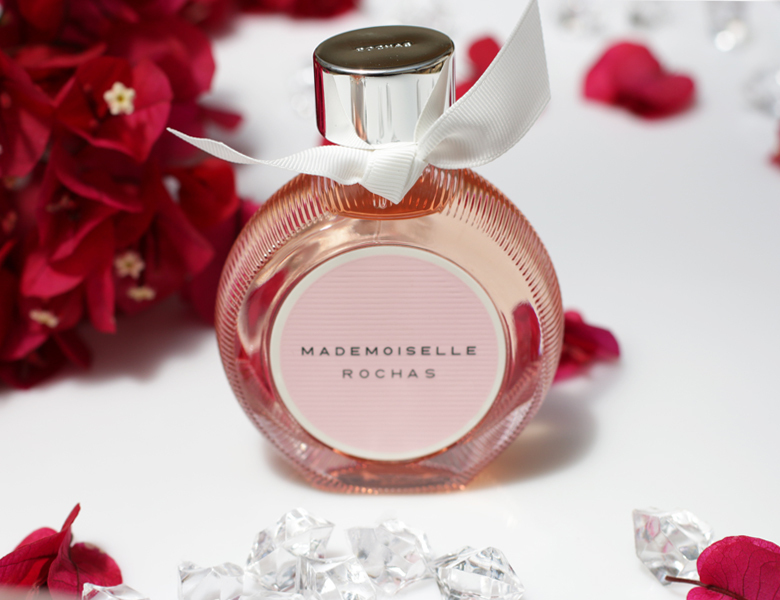 Another pretty, summer scent that will have you feeling like a French lady, is Mademoiselle by Rochas. It’s a re-creation of the 1960 Madame Rochas classic fragrance and aimed at the modern, lady of 2017. This scent is lighter than the three mentioned above, but pretty enough to wear it as a daytime signature scent this summer. With top notes of Black Currant and Candy Apple, a heart of Egyptian Jasmine and Rose, and base notes of Sandalwood, Ambergris, and Musk, it’s got all the makings of a perfect scent. The opening notes, which you may be thinking would be sweet, are rather subtle and blend beautifully into the heart, where in my opinion, the fragrance comes alive. It’s definitely one of those scents that you have to wear for at least a couple of minutes before fully appreciating its elegance and grace. Keep an eye out for part 2 (The spicy scents), part 3 (The delicate scents) and part 4 (for the guys) which will be loaded on StyleScoop every Friday for the next couple of weeks. Previous Post How Smart Are You About Sunscreen?